Score another one for having a personal archive. Or having a shred of a memory. I cannot say I follow the European Football Championships but did pick up a sense of the surprise victory by Iceland over England (skip all Brexit puns here). That shore, those little houses by the water, looked very familiar. 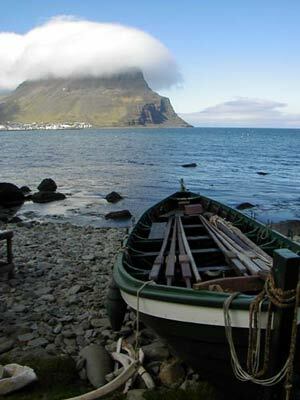 And that green boat. It’s like I was there. 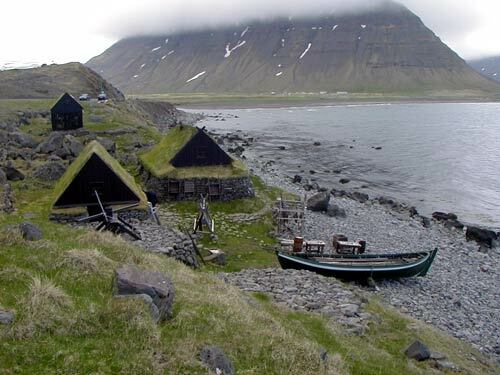 I remembered this place as a museum about the hard life of 19th century Icelandic fisherman located in Bolungarvik. A replica of the real kind of fishing center from the era, it is called the Ósvör Maritime Museum. I knew I had that photo! I’m impressed that the old slide show template still works. I think I had some trick to preload the next image because that was the era of “fast” dialup speeds. Yes, the photos are pretty small — THIS WAS 1999! I was using an Olympus D-450. 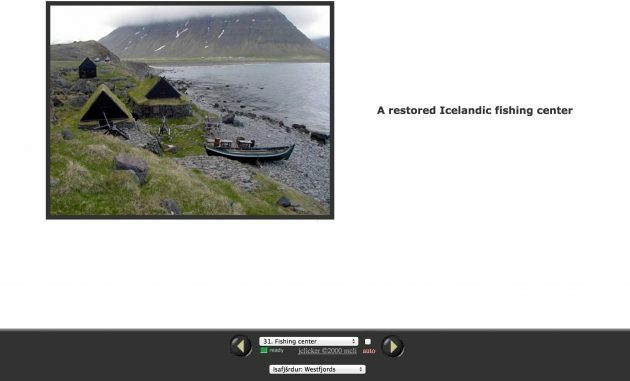 Now I am not going to argue with an Icelander, but I doubt that football player Ragnar Sigurðsson grew up in that fishing museum (maybe it was an implication he is from Bolungarvik. Being “right” here does not matter. What does matter is that (a) my brain somehow identified that photo in the tweet and (b) I knew where in my personal archive to look. @TV2Kadafi What, in a fishing museum, in some recreated fishing huts? And just for clarity, according to Wikipedia, Ragnar Sigurðsson was born in Reykjavik — that ain’t Reykjavik in the photo. Top / Featured Image: A younger version of me in front of one of the boats at the Ósvör Maritime Museum in Bolungarvík, Iceland. This was in 1999 doing some sightseeing after doing some workshops in Reykjavik. This was before Creative Commons, before flickr. But I will put a standard Creative Commons BY license on all my photos. Scotland didn’t make the Euro 2016 but perhaps we can stay in the EU! Rats, I did not do my research well! Making updates. I did know it was England. I swear, they are very easy to distinguish from the Scots.